Obituary for Ruthie Mae Jackson | House of Wheat Funeral Home, Inc.
Ruthie Mae Jackson, age 89, born December 22, 1929 in Brundidge, Alabama, passed away Sunday, March 24, 2019. She was one of ten children. Ruthie confessed her life to Christ at an early age and was a member of St. Paul A.M.E Church in Brundidge, Alabama. Ruthie migrated to Dayton, Ohio many years ago and she became a member of Salem Baptist Church. Ruthie enjoyed spending time with her family, cooking/baking, and playing bingo. 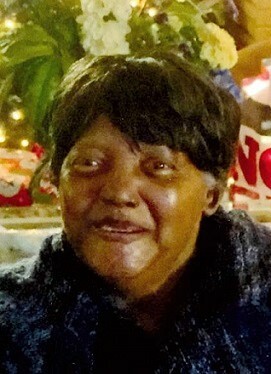 She is preceded in death by her loving parents, Irie and Eva Lou Lampley; husband, Motel Jackson; sisters, Minnie Fayson, Mary Lou Lampley, Jessie Parnell, Betty Chillis; brothers, Irie Lampley Jr., Melvin C. Lampley, and James O. Lampley; son, Fred Douglas Lampley; grandson, Quentin Jackson. She is survived by her sisters, Annie L. Lampley of Montgomery, AL, Barbara J. Lampley of Brundidge, AL; daughters, Annie R. Herd of Dayton, Linda Lampley-Provitt of Dothan, AL, Angela D. Jackson of Dayton; step-daughter, Mary Ann McClain of Dayton; sons, Willie Frank Wheeler, Jessie Ray Wheeler, both of Brundidge, AL, Michael Jackson, Stephen Earl Jackson (Rhonda Jackson), Anthony B. Jackson, all of Dayton; a host of grandchildren, great grandchildren, great-great grandchildren, nieces, nephews and friends. Funeral service will be held 12 noon Saturday, March 30, 2019 at the House of Wheat Funeral Home, Inc., 2107 N. Gettysburg Ave. Visitation 9 am Saturday at the funeral home until time of service. Family will receive friends one hour prior to service. Interment St. Paul A.M.E. Church Cemetery, Brundidge, AL.